Many families ask us how to get additional lacrosse opportunities outside of our fall and spring seasons. The opportunities listed below are not offered, or endorsed, by PYLAX. However, we like to keep our families informed of additional lacrosse training in our area in which some of our players have been involved. This is NOT a complete list, but rather a list of programs which may be geographically reasonable for our N. Hills families. Please click the team logos for more information or to be directed to their homepage. True Lacrosse is committed to the expansion and progression of lacrosse. Their combined knowledge, experience, and passion allows them to offer the best service, products, and guidance necessary to further develop the fastest game on two feet. True’s mission is to spread the game of lacrosse throughout the entire Midwest and onto areas of the country where lacrosse has not been fully embraced. True understands that lacrosse is a lifestyle not a hobby and they value the dedication required to excel in this sport. Practices over fall, winter, and summer. 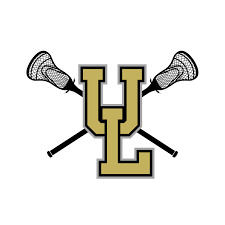 Ultimate Lax is a Non-Profit Organization that was developed to build an environment in which coaches could give back to young athletes that are interested in elevating their game. Ultimate Lax strives to provide a first-class experience for every one of its families. Lacrosse is not just a sport, it is a brotherhood. Ultimate will teach these young men important life lessons that will help them become successful in any challenge they may face. ​They pride themselves in not succumbing to "daddy ball" or "hero ball". They teach players how to play as a team, share the ball, and play real lacrosse. Ultimate Lax parents must understand that the product put on the field may not be something they have ever seen before. Not all goals are "good" goals to them. They teach players how to be successful in even the most challenging situations. Ultimate focuses coaching efforts on specific information and a unique style of play that will be effective even at the college level. They teach advanced concepts, with a concentrated focus on core fundamentals. This will prepare players for play beyond their Ultimate Lax season. Ultimate Lax does not focus on WINNING. They focus on teaching players how to play the game the right way. Ultimate evaluates the level of success by how much improvement a player has from game to game. They work hard to be better than they were the day before. "PROCESS is more important than OUTCOME." Arrows Lacrosse designed and started the academy as a year round program to provide training to players wishing to reinforce fundamentally sound lacrosse and take the next step at playing a higher skill level. The program will focus at core aspects of the game and position specific skills. Trainees will be asked to examine their strengthens and weaknesses and develop goals to be a better player. They also will work with the trainees on the psychological aspects of lacrosse and how to develop a positive attitude that brings forward a team player approach. Lacrosse is both a physically and mentally demanding sport, and Arrows trained players will be prepared to handle situations on the field with leadership, strength and conviction. Low and Away strives for every player to reach their full potential on and off the field. They utilize an extremely fundamental curriculum focused on hard work, goal setting, discipline and always having fun. Low and Away looks far beyond the field and provides a service that will help develop boys into well-rounded young men in order to help paint a bright future. They believe in surrounding yourself with the right people, and they are confident that all of their staff, players and families work together in order to make those goals possible. Below are a few camps and clinics in which PYLAX players have participated. In addition too these opportunities there are many colleges and universities that hold multi-day camps for youth to attend. You can find more info by googling your favorite university and the phrase "lacrosse camp"
Founded in 2005 and headquartered in Jersey City, NJ, Trilogy Lacrosse is one of the premiere lacrosse programs in the United States. Trilogy Lacrosse is a national company with a best in class reputation in educational programming and event management. 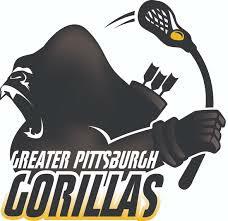 The organization has a unique blend of established lacrosse insiders and professional event operators. Everyone in the organization is united by a passion for excellence and for positively impacting the future of the sport. Trilogy Lacrosse has worked with tens of thousands student-athletes across the nation. Their students have continued on to some of the most prestigious colleges and universities in the country. In 2015, they have managed the experience of over 8,000 student athletes. 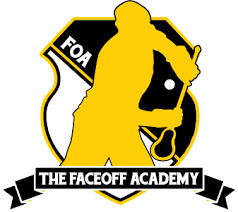 The Faceoff Academy Combines focus on teaching the basics of faceoff position in great detail and providing elite knowledge and skill sets for our players. This will be followed by live reps as well as a knockout style tournament play at the stripe. The Combine training will also be the guideline for who will be invited to the National Recruiting Showcase. 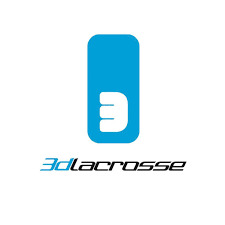 3d Lacrosse is committed to delivering a superior summer camp experience for players and families looking for more training than what is typically available in the marketplace. We believe that our level of instruction is unique and unlike anything most players have ever experienced…and they continue to come back for more! In all of our camp settings, players learn from 3d Master Coaches who are steeped in experience with the Box-Field Hybrid™ Development System. The system’s ability to develop players is unparalleled in the lacrosse training landscape. 3d Lacrosse offers exceptional Day and Overnight training camps, on the field and in the box, from New England to the Mid-Atlantic, Texas to the Rockies and up and down the West Coast.